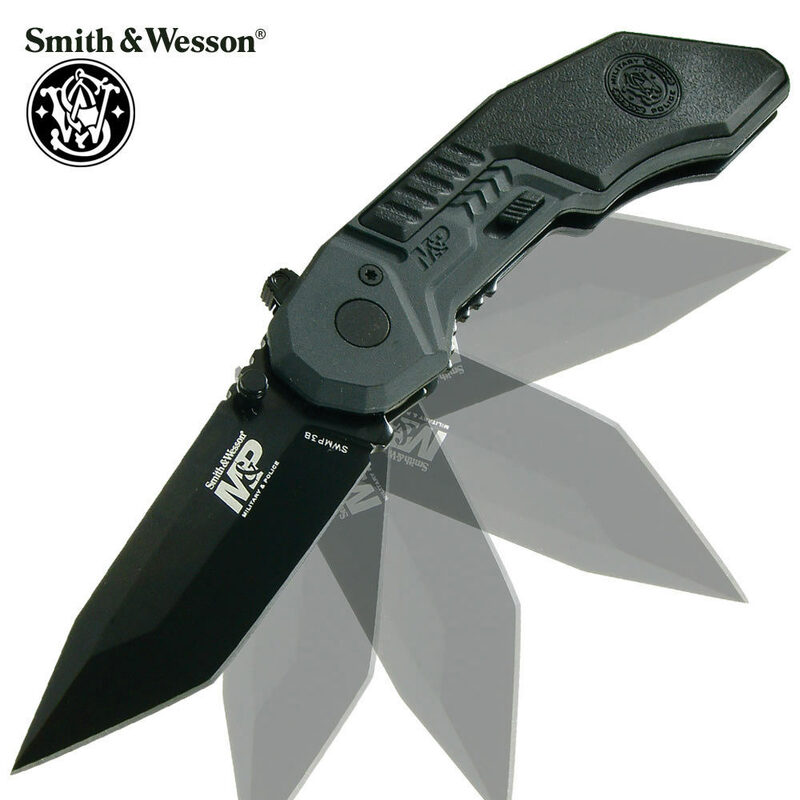 Smith & Wesson MP Series Three Black Folding Knife | BUDK.com - Knives & Swords At The Lowest Prices! Smith & Wesson has you covered with this Smith & Wesson MP Series Three folding pocket knife, and this time it's equipped with a modified tanto blade constructed of 4034 stainless steel. Built with a sliding safety release, you can engage the rapid-release M.A.G.I.C. assisted-opening mechanism with the thumb stud, and put this pocket knife to work. Amazing knife the spring assist is great a little tough but i like that. For the price this knife is perfect. This knife is AMAZING!! The lock mechanism to release the blade was impossible to use do to sticky oil. After it was oiled, it worked like a charm. It came sharp enough to shave my arm and break the skin. It shipped in 3 days! That's one of the many reasons i chose TrueSwords.